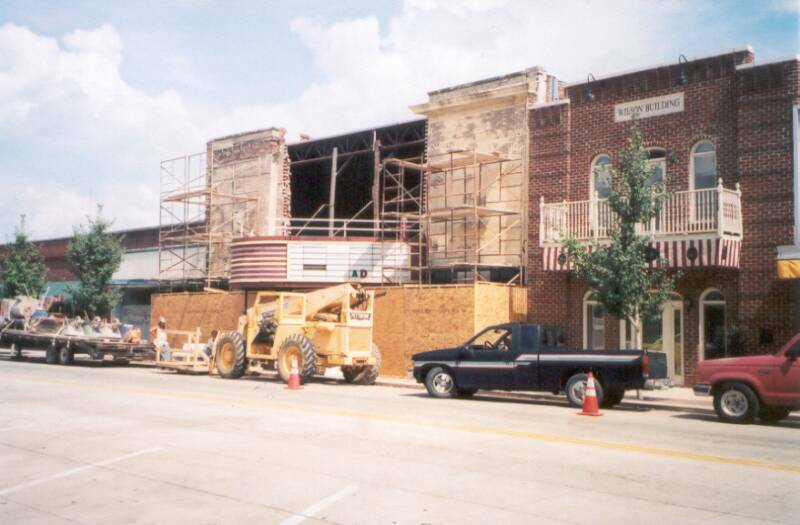 Pictured above left is another view of the facade work in August 2003. 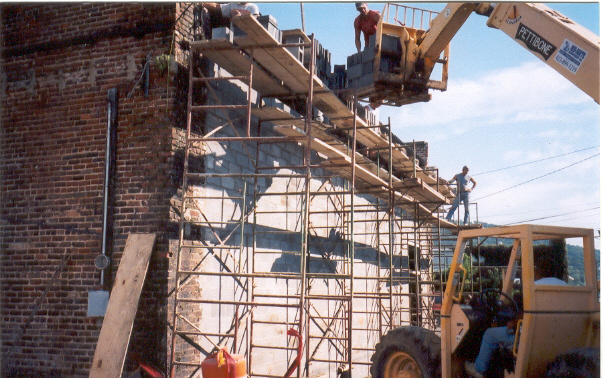 The above right photpgraph was made in January 2004 showing the the reconstruction of the center wall that was nearing completion and the paint removal process completed. 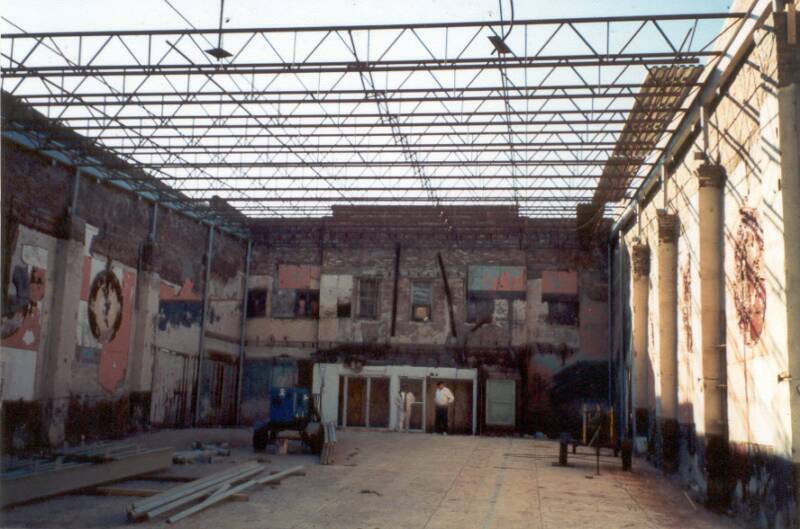 Also in this picture can be seen contractors working on the beginning stage of the marquee renovation. 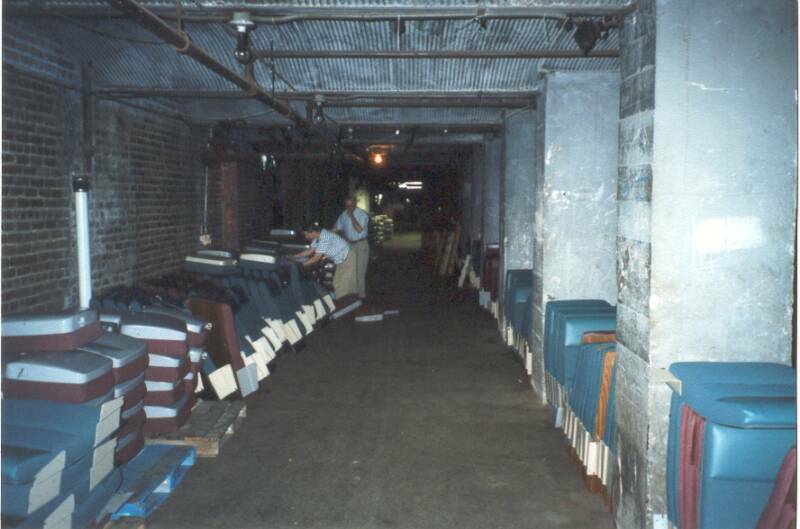 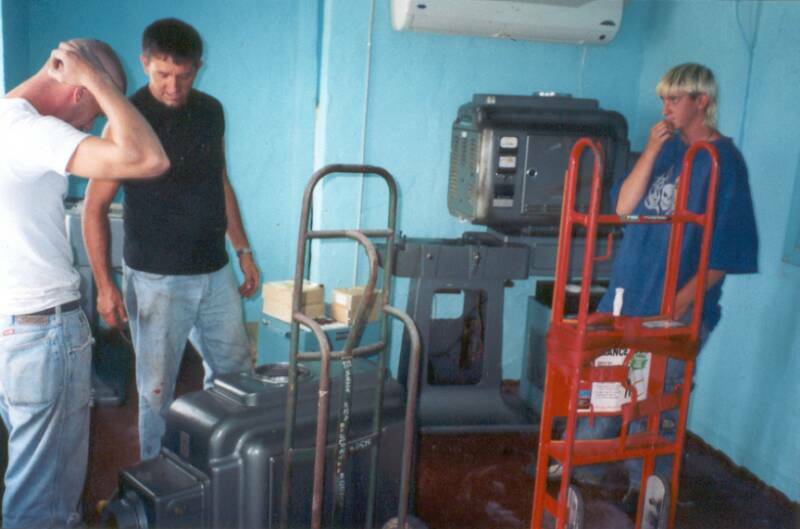 The above lower pictures show voluteers in August 2001 unloading used projector equipment for the theater that was donated by the Palace Theatre in Crossville, Tennessee. 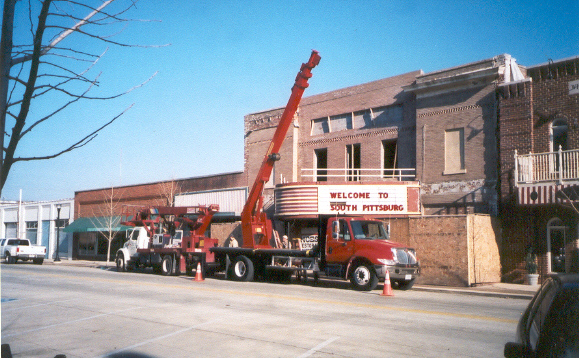 The theater seating, which was also donated by the Palace Theatre in Crossville, is shown shortly after being unloaded in South Pittsburg in March 2001. 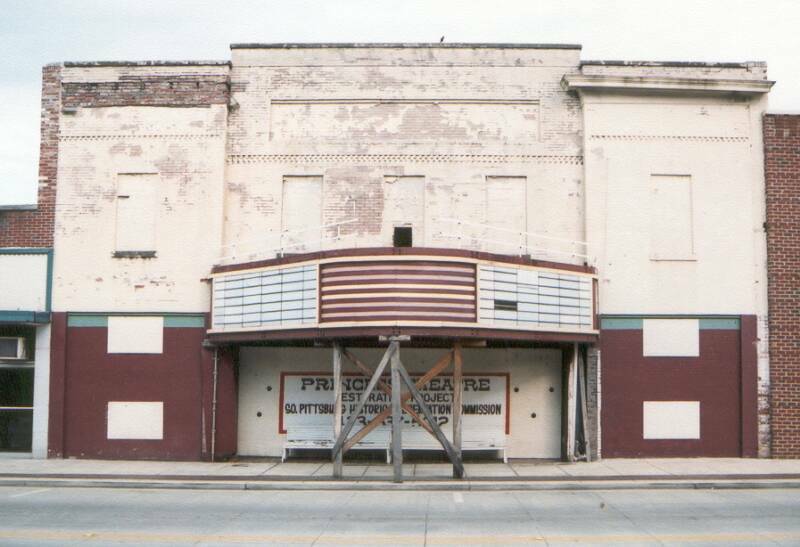 Pictured above is a photograph by Dennis Lambert of the Princess Theatre in early April 2003 showing the facade of the building with old paint. 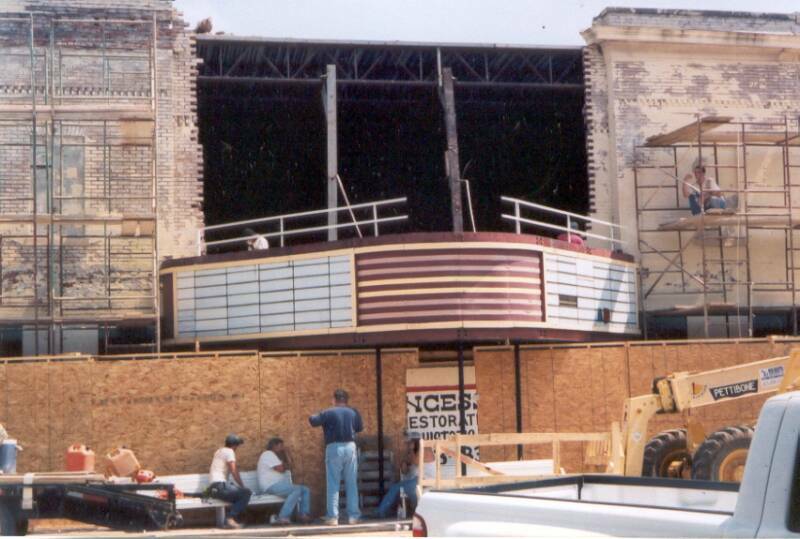 The marquee was supported by temporary supports after its weight, which was supported by three wall anchors, began to pull the center wall down. 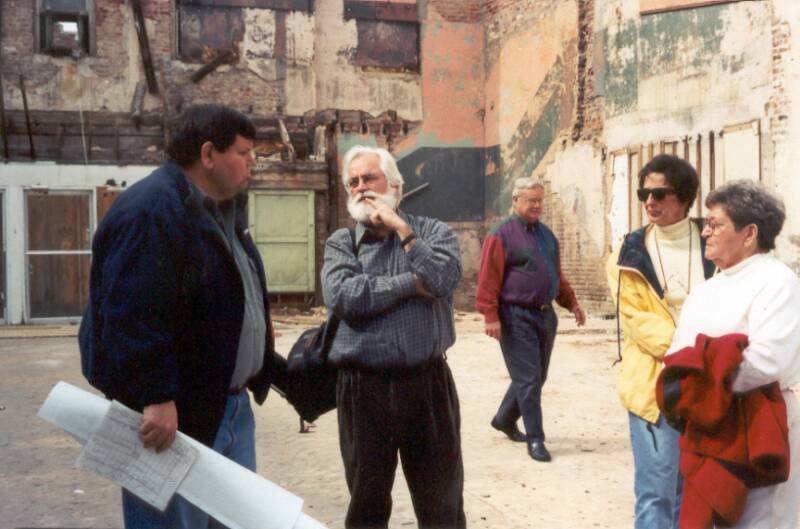 This would have destroyed the marquee and facade. 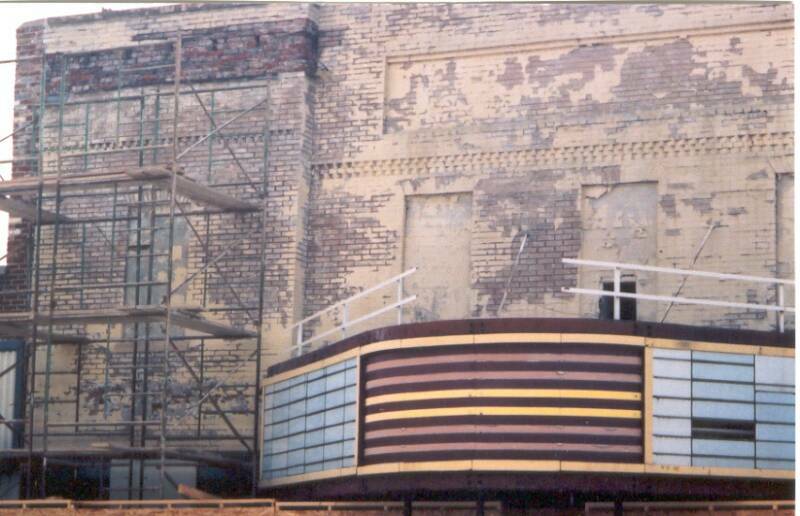 In the above lower left photograph, made in August 2003, the old paint has been partially removed from the brick. 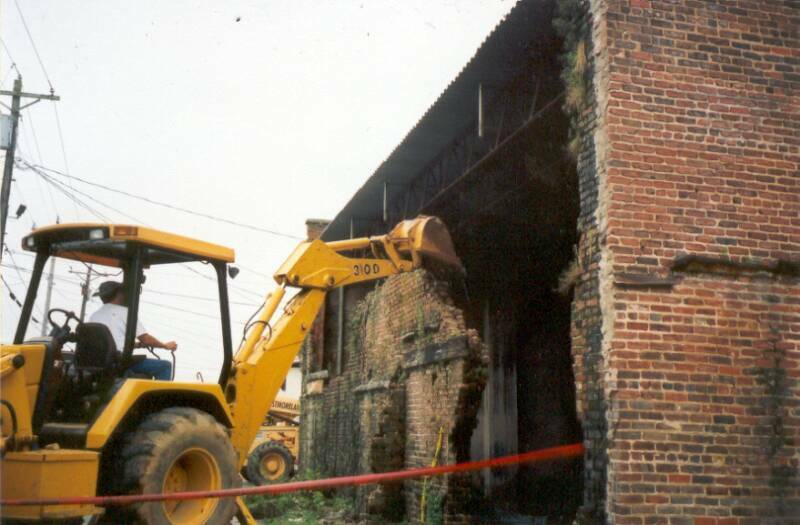 In the above lower right photograph, also made in August 2003, can be seen that the brick of the center wall has been removed so that it can be rebuilt.